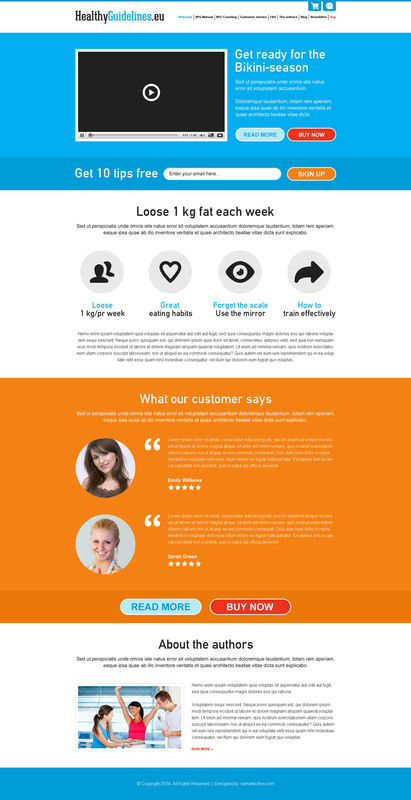 Weight loss free tips Website Design portfolio examples preview. Attractive and appealing weight loss website design with video on the top and details with strong call to action button on the right as well as free tips sign up lead capture just below the video. Each section is well designed with great use of the icons.